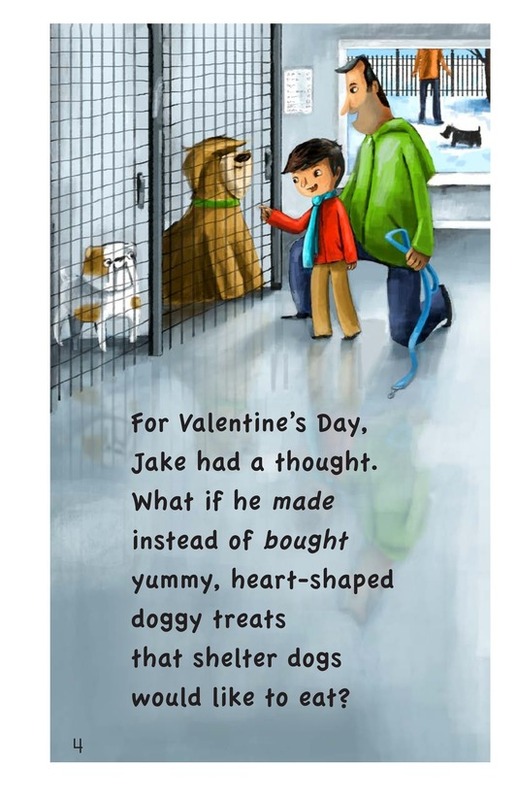 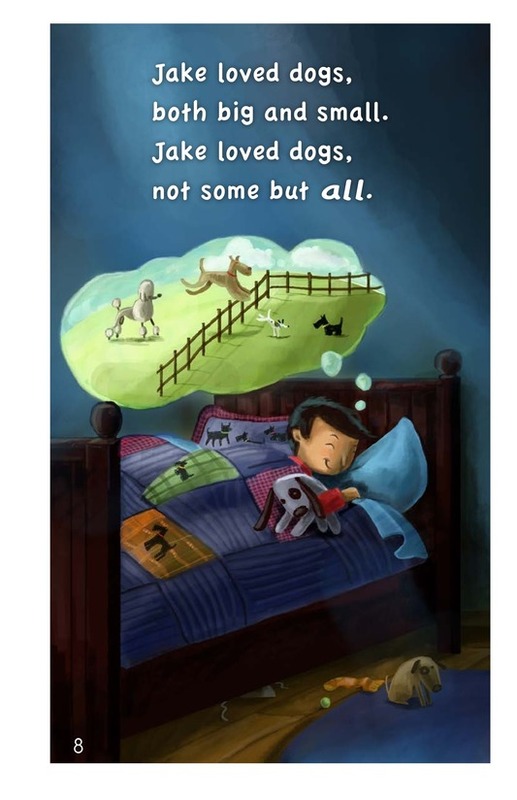 Jake, a boy who loves dogs, decides to celebrate Valentine’s Day by making heart-shaped doggy treats for shelter dogs. 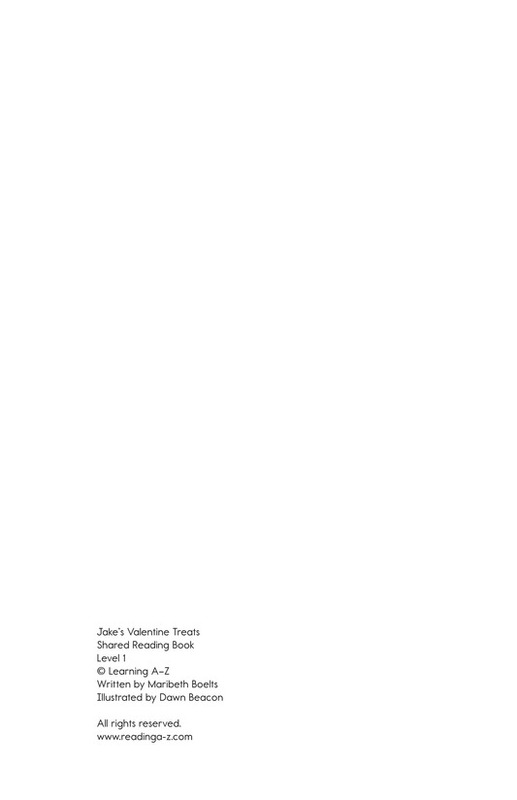 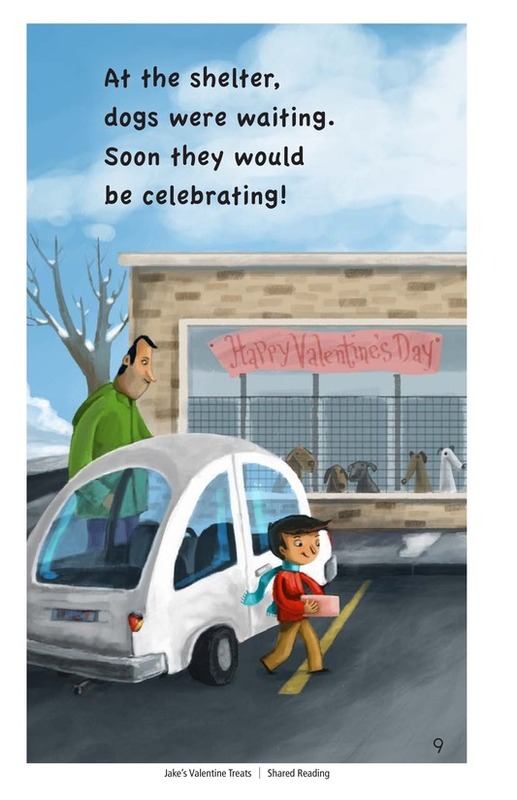 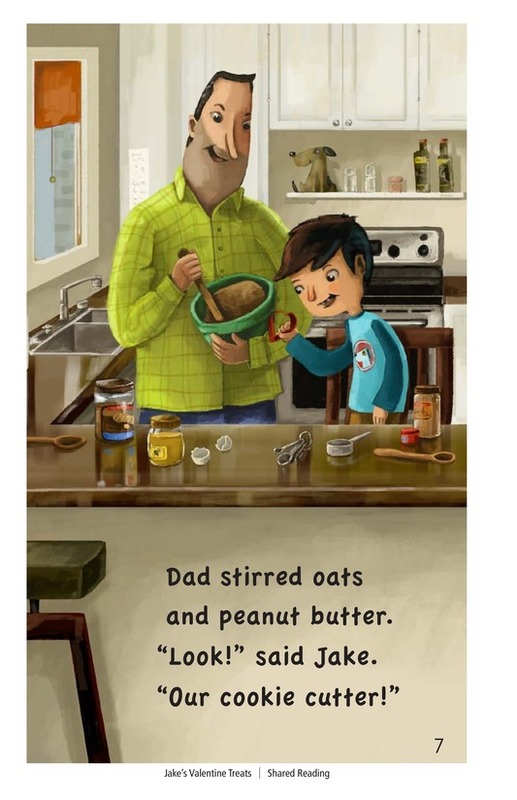 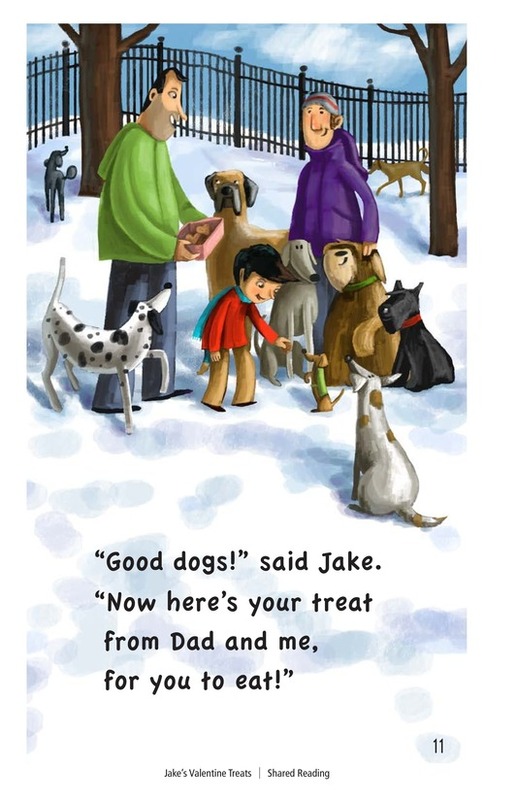 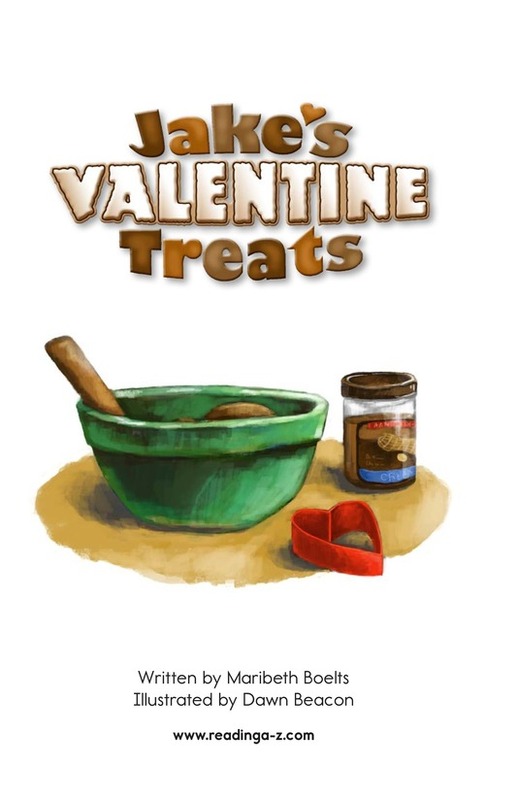 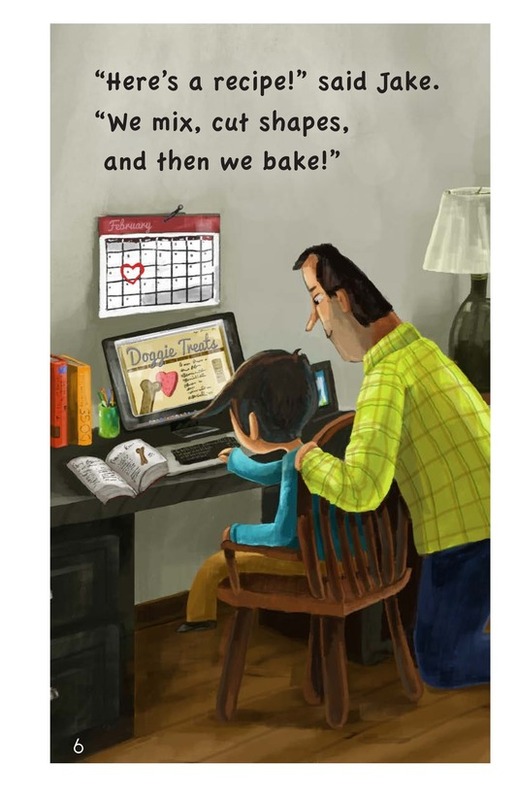 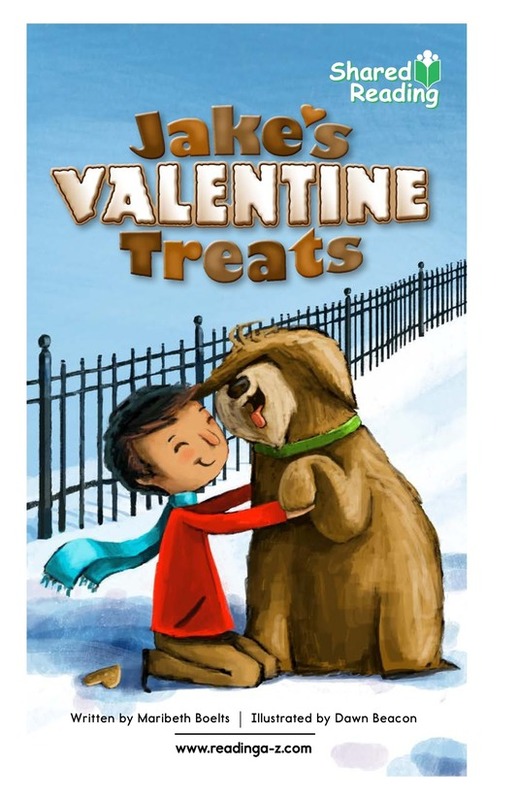 He and his father find a recipe, make the treats together, and deliver them to the dogs at the shelter. 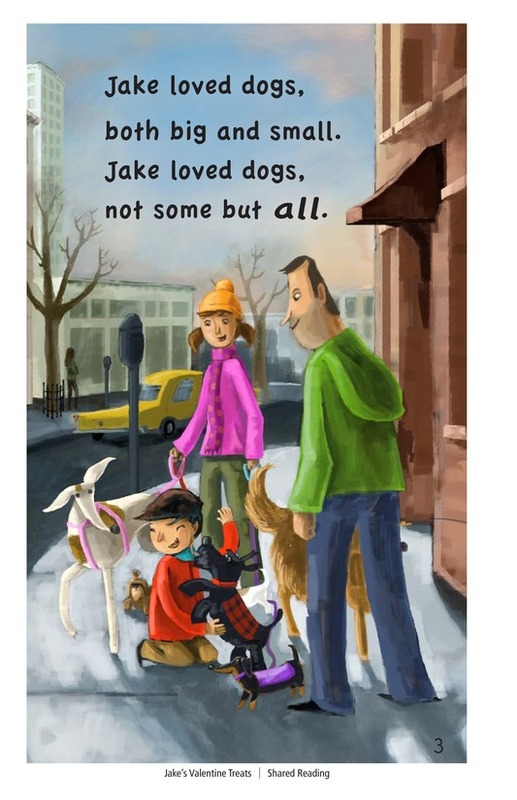 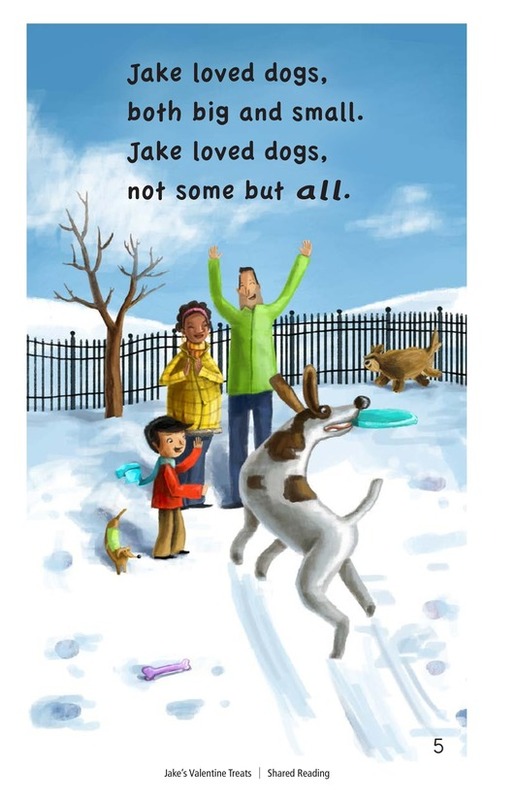 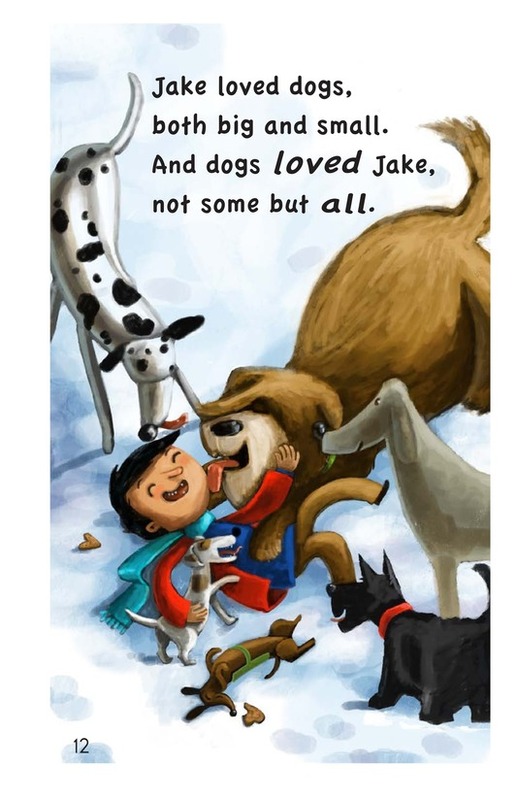 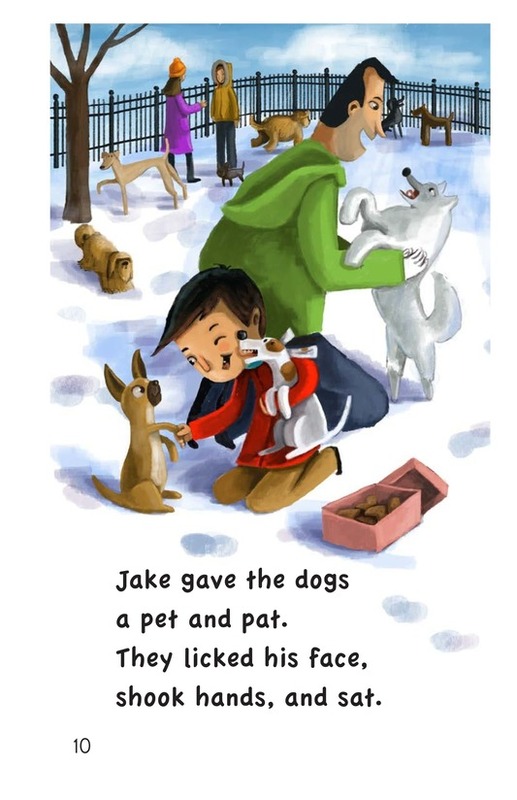 Of course, the dogs love their treats, and Jake, too.